The Chief of Army Staff, Lt.-Gen. Tukur Buratai, says in spite of pocket of attacks by remnant of Boko Haram terrorists in Borno North, the army is tightening the noose against them. Buratai, therefore, urged Nigerians and people of the region in particularly not to panic as those attacks do not signal resurgence of insurgency as being insinuated in some quarters. He spoke in an interaction session with journalists at Mongunu after he personally monitored and coordinated onslaught against the insurgents locked in between troops’ locations in the area. The News Agency of Nigeria (NAN) reports that the recent attacks recorded in the area, particularly at Damasak, headquarters of 145 Battalion and Gudumbali community, were mainly targeted at troops and their locations. While the insurgents attacked Gudumbali on Sept. 7, they attacked Damasak on Sept. 11, shortly after the army chief left the location, but met their waterloo. The attacks were believed to have been carried out by a faction of the terrorist group led by Al-Barnawi, which had pledged allegiance to the Islamic State in West Africa (ISWA). Unlike the Abubakar Shekau faction, the Al-Barnawi faction targets military and its locations and not soft target (civilians). Buratai explained that the terrorists carried out those attacks as the noose was being tightened against them and couple with the fact of their knowledge of the terrain in those areas. He noted that this was so as in the last two years, not much attention was paid to Borno North in the fight against insurgency and terrorism until now. “The Nigerian army is now consolidating in northern part of Borno. You will agree with me that for almost two years, we have not paid attention to northern Borno, until about last year – 2017, when we directed our focus to this area. “We were most concern with our efforts in southern and Central Borno, and very little in the north. “But now that we have given attention to northern Borno, especially the Lake Chad basin, we have seen the activities of the Boko Haram terrorists coming up. “We have seen their reactions to the way we have been dealing with them. All those attacks were as a result of closing in on them that our troops are doing. “We will tighten the noose around their logistics bases. But they are taking advantage of knowledge of the terrain to move in between our troops’ deployment,’’ he said. 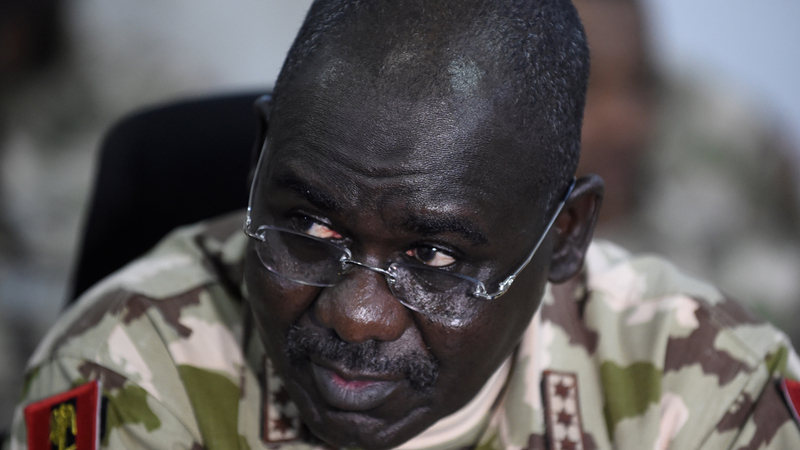 Buratai said the recent attacks on troops’ locations at Damasak and Gudumbali only serve to strengthen the army in terms of intelligence capability, fire power and ability to withstand challenges. He, however, expressed concern about the difficult terrain of the area couple with the poor condition of roads leading to the communities. On the propaganda in some sections of the society, purporting a resurgence of insurgency following the recent attacks, the army chief advised those behind it to desist. “When you say resurgence, what does that mean? We have to look at it critically. “It is not something you speak about without analysing, without thinking of the consequences on the psyche of Nigerians, on psyche of the traumatised indigenes of this part of the country,’’ he said. Buratai accused those behind the propaganda as having ulterior motive. “In this type of propaganda they want these people to perpetually remain in IDPs camps and for certain individuals to continue to be suppliers of relief materials and at the end, not even the IDPs do benefit fully from those materials. “Those who benefit are somewhere else and we want this to continue in our country?’’ he asked, and cautioned that “certain things must be done with limit’’. “We must get it right, this is our country. Anything that happens here – North East, if not contained, be rest assured, it will go round our country. “The rumour going on is being propagated to score some cheap interests, whether social, economic, political or whatever. “If such propaganda is not contained, it will consume even those who feel they are untouchable,’’ he said. On troops’ rotation, Buratai also urged Nigerians not to pressurise the army over the issue. He said although the army was addressing the issue, “you just cannot say that soldiers must be rotated anyhow. “You cannot use the issue of rotation to pressurise the army. “We have our system of relief and we will adhere to it. We have system of leave and passes, casual leave, annual leave, compassionate leave and passes are granted. Buratai clarified that rotation “has to do with national security and not politics’’ as the army was apolitical and will remain so.